In a 2016 report from the Kaiser Family Foundation, Florida pharmacies filled 265,554,110 prescription drugs in 2016. These drugs are expensive and many are highly addictive controlled substances that can be hard to obtain without a serious injury. This puts pharmacists at risk every time they work a shift. With such high stakes, Florida has made an additional gun law to protect pharmacies. If you have been convicted of carrying a gun illegally in Florida you need to contact an experienced West Palm Beach criminal defense attorney as soon as you are able. According to Florida Statute 790.145 any person who is found with a concealed weapon in a pharmacy will be charged with a felony of the third degree. A third degree felony can be sentenced with up to five years in prison, fines up to $5,000, and community service. Exceptions to this law include police officers who carry weapons, any employee authorized by a manager to carry a firearm, and any person who already is licensed to carry a concealed weapon. It is also a third degree felony to carry a destructive device into a pharmacy. A knowledgeable attorney will be able to assess your case, advise you, and represent you in court so that you get the best possible outcome and are not simply handed the maximum penalties. Schools or school-sanctioned events at any school level or college. With several recent high-profile incidents like the Las Vegas shootings, firearm-related crimes are likely to be heavily penalized. Your sentence should not be reflective of the overall gun culture in the United States, but should pertain only to your situation. Seeking legal counsel in West Palm Beach will ensure you are treated fairly by the courts. 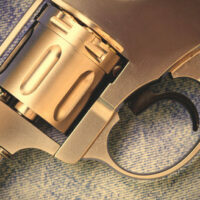 If you or someone you love has been charged with a firearms crime, you need expert legal counsel who understands all of the intricacies of Florida law. Scott Skier understands that weapons charges are serious and he will fight aggressively on your behalf to get the best possible outcome for your case. Contact me at 561-820-1508 for a free initial consultation.